Custom Ohio State themed pet Bed. Pet bed comes with 1 pet pad. 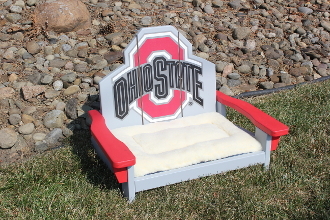 Picture shows custom Ohio State themed pet Bed.